I was in the park over the weekend and observed a woman walking her dog. Actually, I am not sure if it was walking, more like intense heeling. The dog was, of course, on her left side and had his head turned to the right waiting for the woman to dive into her treat pouch to reward the behavior. As I was watching it, I began to think of all the compensations going on in the dog’s body. Don’t get me wrong, I know this is part of many activities such as IPO, competition obedience and training. However, there are things we can do so that the dog does not suffer any long-term side effects from this unnatural position. When the dog is looking up in extension and to the right, this compresses the right side of the neck, and stretches the left side. Over a prolonged period of time, this can create an imbalance. Normal head up and down movements should not compromise the integrity of the topline or the spine. 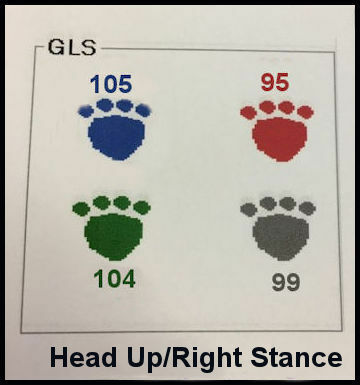 The topline/core/spine should remain straight and strong when a dog is standing or moving. A simple head up posture can cause a dip in the top line in a dog with weak abdominal core muscles. This may lead to significant issues in the spine as well as compensatory issues. HOW TO Help: make sure to stretch the neck into flexion (downward) and to the left before and after any heads-up heeling activity. HOW TO Help: Incorporate neck flexion in your dog’s daily fitness routine. 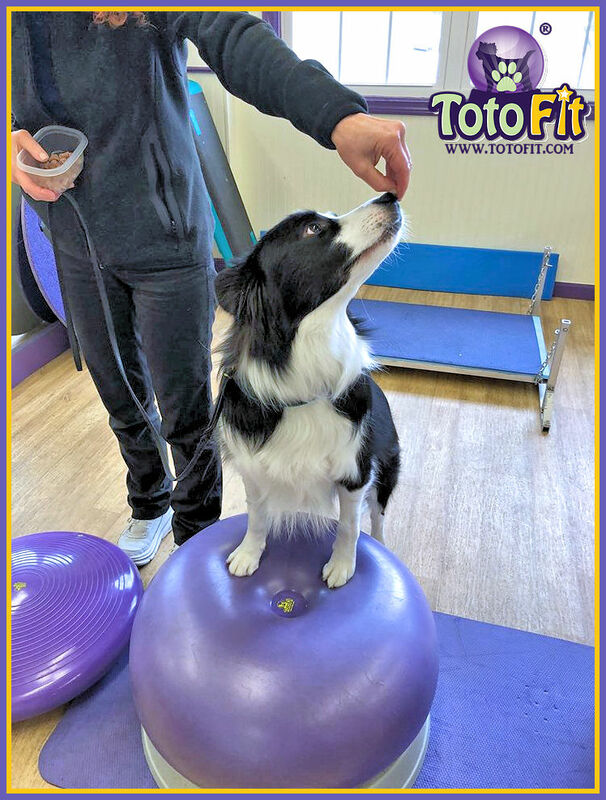 Encourage the dog to look slowly right and left while keeping all four paws in place, first on the ground and then on an unstable surface such as the K-9 Kore Disk or the ORBit [coming soon!] Gently increase the range of motion, and hold the position. This motion will create weight shifting and help build body and topline core strength, as well. Be aware that prolonged competition obedience heads-up heeling can create muscle soreness and imbalance, and keep practice to short periods, broken up with other activities. Always keeping your dog’s health and soundness a priority! « Not Every Dog is an Olympic Athlete – Except Maybe in Our Hearts! Hi, Carol. Good question about the 60/40 weight carriage we often talk about. 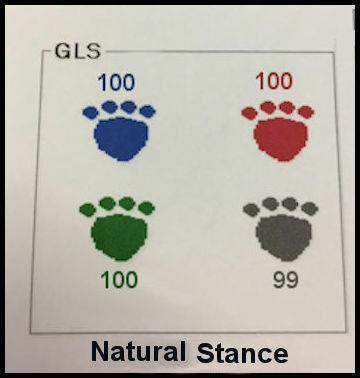 This particular Gait Analysis machine uses 100% for all legs, and then adds or subtracts according to the detected weight bearing. We will clarify that in the blog. very interesting. Wondering if any studies have been done to confirm the weight transfer you reference in your article, although I’m not sure how that could be done. Asking this because I have watched numerous dogs do heeling work and just don’t see this. Maybe it’s because the dogs I am seeing don’t heel with that extreme head up and to the right position. Dogs that are heeling at the proper pace and cadence for their build are driving from the rear, light on their front feet and the head isn’t really turned more than 10 or 20 degrees to the right, and their weight is balanced evenly. Just wondering how you arrived at this conclusion. enjoy your articles, online classes and videos. thanks so much. Thanks for this article. I have had this conversation about added stress on the dogs neck with performance obedience people. Is it ok to share this? You have answered a question that I could not get answers for. Sure, Jocelyn. Feel free to share the article! And thanks for your input.